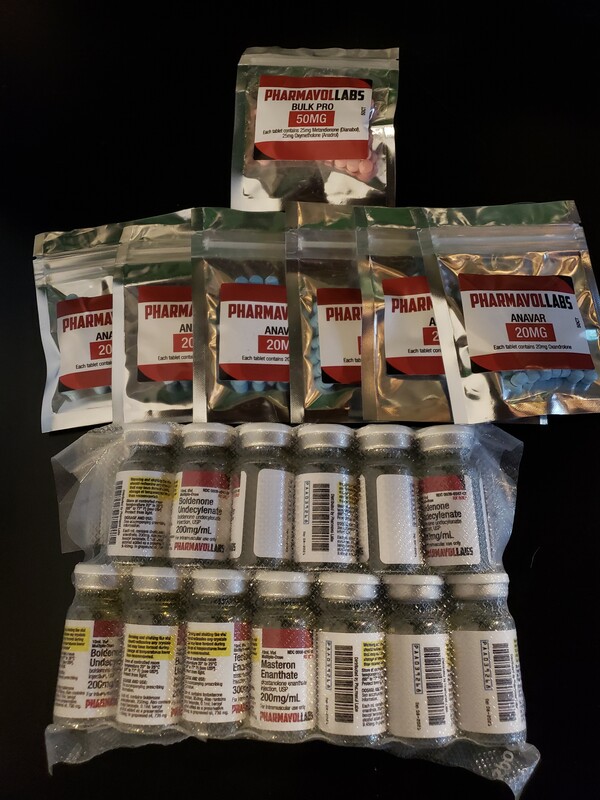 I ordered 2 10-item mix/match from Pharmavol (test e, mast e, eq, var, dbol/adrol). He will have funds in hand tomorrow. Let's put his speed and product to the test. From the sound of it, I'll be a happy camper. He never responded to my PM, but he has been pretty responsive via email. Yea most sources have reps on the forums. They get a bit busy to respond to each and every pm. Yeah, not really sure what's going on then. He has been really good getting back to me the same day via email. I've been using the email from his list. CIM funds delivered. Let's start the clock boys and see how long it takes to touchdown! Touchdown... I ordered 20 items and received 20 items. However I'm not as happy as I should be. I ordered the 300mg/ml EQ and received 200mg/ml. That's a substantial difference! I reached out to him to see if he'll make things right. Haha yeah, about two cycles. Really wanted to test him out because his reviews were so good. I mean the communication, speed of delivery, and packaging was really good. Just that EQ discrepancy has me a little pissed. Oh, and there was no gold thank you sticker! He's making everything right. Really good guy and good source. Hard to find these days. Just an update... Dude went dark. His communication needs some work. Still waiting for your stuff? I received the original order, but I was sent the wrong stuff (200mg/ml instead of 300mg/ml). I even through in extra money and everything. He said he would make it right a week ago.... but no update. It's not a huge deal at the moment, I'll just have to pin an extra .5 ml. I just wanted to keep it honest with you all on the good and bad. His gear is good quality (my body will know in the next week or so)... but buddy needs to step up his communication game and stop leaving customers hanging. The rest of the order was received. Thanks Pharmavol! Alright. 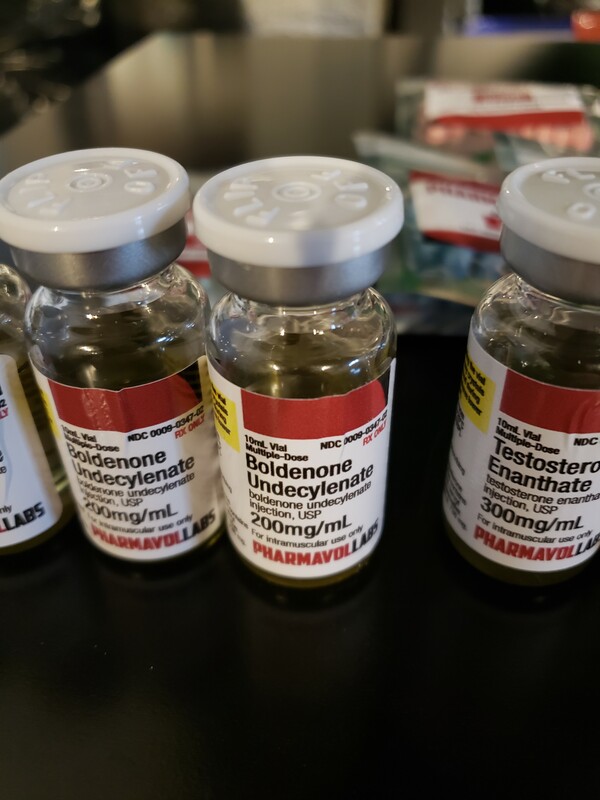 So I am ready to use the EQ 300mg/ml but noticed it is really light colored and thin viscosity... just like the testosterone in fact. However the EQ 200mg/ml is the thicker, darker color I've normally seen with EQ. I would have expected the 300 to at least be the same look and feel as the 200. Any ideas? Does anyone have any Pharmavol EQ 300 that I can compare mine to? Has me worried. It's just the oils he uses in various products. I don't know the specifics of the reasons but I'm sure it's fine. If you want to test it you can always order those kits that test for a specific compound. They are like $30-$50 per test kits. The dude is totally trustworthy, I just didn't know if he mislabeled or something. I'd hate to pin a CC of Tren thinking it was EQ. Did you ever receive a tracking? I’ll probably receive my order before I get a tracking. Just wish his communication was a bit faster. Yep, he sent me the tracking info. How’s the Anavar? I notice a lot of orders with his Var. Wish his email communication was better... so hard to get everything straight. I'm using his var now, but I doubt I'll be able to distinguish its effects from the other compounds (test/eq/mast/var). How does anyone know what the real ingredients are in the bulk pills.? Labmax kits would pick up the dbol AMD drol, however what needs to be kept in mind, is that those labmax kits are made to specifically test dbol OR drol...not both. True... I bought 1 pack of the bulk but had to stop on day 4. Made my stomach hurt and gave me severe heartburn/GERD/whatever. Wish I was in my 20's again... never had that problem before.